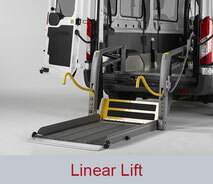 No matter whether you want to carry a wheelchair-using family member in your vehicle or you operate a transport service, taxi business or bus company that carries multiple wheelchair users everyday, AMF-Bruns offers a wide-ranging choice of lifts for transporting persons with reduced mobility. 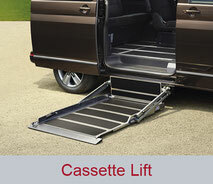 Our range also includes cargo lifts. 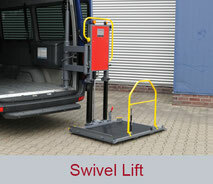 These loading lifts are ideal for transporting freight in vans. 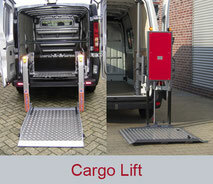 AMF-Bruns cargo lifts have a capacity of 400 kg to 500 kg.